This is the second of my regional surveys of resources for inventors. The East of England covers the counties of Bedfordshire, Cambridgeshire, Essex, Hertfordshire, Norfolk and Suffolk. According to Wikipedia the region has a population of 5.39 million in a land area of 19,120 square kilometres. It is home to one of the world's greatest research universities. According to the Intellectual Property Office there were 1,844 patent applications from the region in 2009 placing it third behind South East England and London with 2,777 and 2,752 respectively. Its regional development agency is the East of England Development Agency. Three local enterprise partnership proposals have been accepted from the East of England, namely Greater Cambridge and Greater Peterborough, Hertfordshire and Kent Greater Essex and East Sussex. I am aware of only one inventor's club in the region. That is CHASE (the Cambridge High Tech Association of Small Enterprises) in Cambridge. The Association meets on the first and third Tuesdays of most months, holds an annual dinner and an occasional conference. Further information can be obtained from Jeff Veil on 01223 721499. I would have expected to find inventors clubs in Bedford, Chelmsford, Colchester, Hatfield, Ipswich, Luton, Norwich and Southend. If inventors in any of those cities want us to help them set up an inventors club they should call us on 01603 343030 or contact us through this form. There are no PatLib libraries and hence no CIPA clinics in the East of England. However, each of the county and district council library authorities have good on-line and printed business information resources. If anybody from the East of England wants advice on any aspect of inventing he or she can contact our clinic using this form. We shall put him or her in touch with a local professional advisor. The HQ of the local Business Link is at Zenith Court in Hatfield. There are local Business Link offices in each of the major towns and cities of the region. Advice and mentoring is also available from Keith McCallum who holds the Business Doctors franchise for Bedfordshire, Cambridgeshire and Hertfordshire. NWES and WEETU in Norwich. We have a page on Inventors Resources in the East of England on the Inventors Club website which we shall expand and update as and when we can. 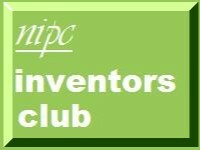 We have an Inventors Club group on Linkedin which covers developments affecting inventors throughout the UK which you can join. You can of course also join the Inventors Club if you want. The Membership Rules are here. There is no subscription but we may charge for special services such as showcasing inventions and access to professional services. Anyone who wishes to contact us should call us on 01603 343030 or send us an email. Hi, I am based in Northamptonshire and was surprised at the lack of local information for inventors or an inventors group. I also thought there would be some sort of group in Northampton, Milton Keynes or Bedford. It looks like the Cambridge one you mentioned is just tech based? I also checked out my nearest Business Link - derbyshire (not very close). Its not really very encouraging for local inventors. Surely the government should be encouraging invention and new business. Thanks for your comment Tara. I shall be covering Northamptonshire very soon. It's not quite such a desert as you may suppose. There are well established inventors groups in the West Midlands (an hour or so up the M1) and in London (an hour or so on Thameslink). However, there should be something in your area and that is where we can help. The review on IP announced last Friday is certainly one step in the right direction. So, too, is the RGF and the plans for the LEPs. Maybe more can be done and it will be groups like ours which will do it. As I have said to you privately, I love your blog and I am going to bring it to the attention of as many people as possible.